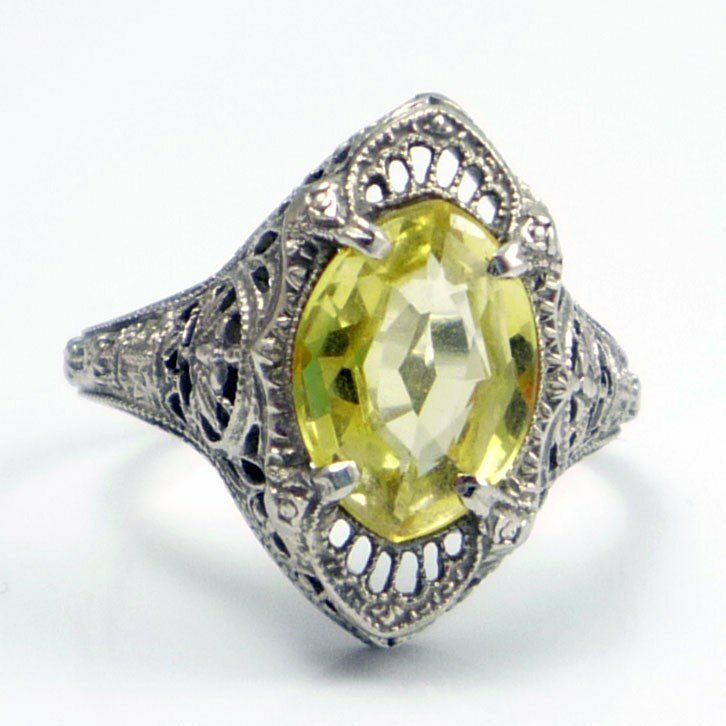 Contrary to popular belief, both synthetic and simulated stones have been appearing in jewelry for a hundreds of years. It may be difficult to imagine such a remarkable technology existing by candlelight and horse-drawn buggies… but it did! So here is the difference, simply put. 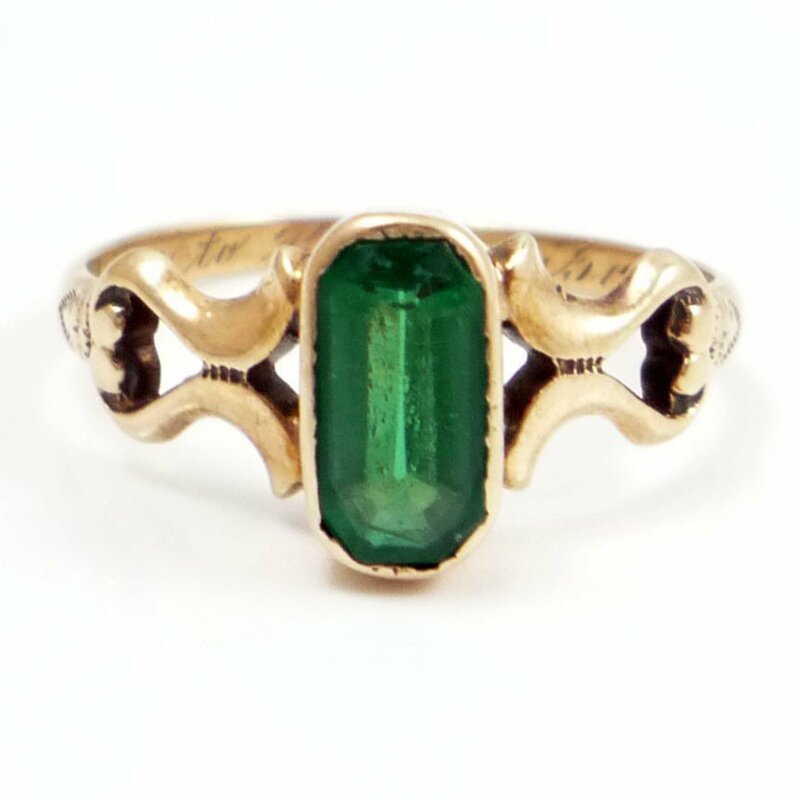 When something is described as Synthetic, it means that the stone was lab grown and contains a specific chemical composition of a gemstone. There are various methods for creating these stones, and they are less valuable than natural material but more valuable than simulated material. Simulated stones are composed of glass or crystal. Both types of stones are used widely in the 1920’s and 1930’s as well as throughout the Victorian era. Their value as a whole is greater than their modern counterparts. Do you sell online? I enjoyed your information. Things I’ve often wondered about. Do you know about ivory? Is it valuable even though it’s illegal to sell? Carved ivory?